Girl With A Surfboard: Studio Time. 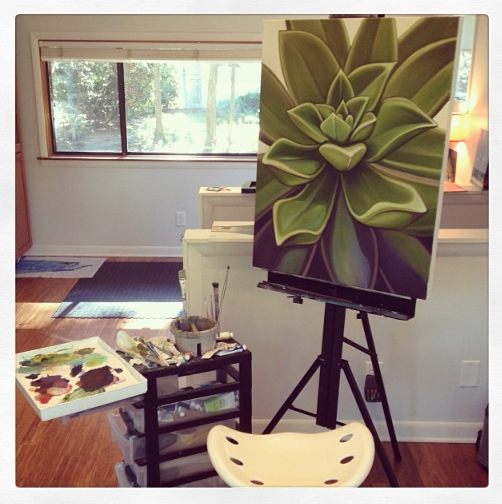 In our new home I am lucky enough to have a great painting space. Its been great not having to use the kitchen table for all my paints. 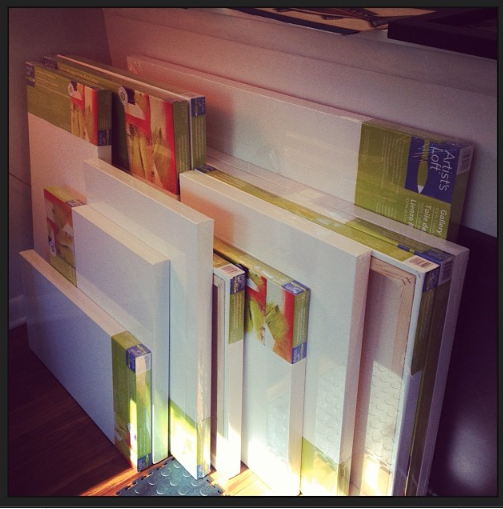 I got a big stack of canvases during a great sale at Michaels and I love having lots of options. The world is my oyster!